August has come and gone and September is almost half way through too.. But this post is better late than never right? I just want to start with a bit of an update. You guys may have noticed a definite absence here on the blog and across my social media platforms. With work, travelling for work, coaching gymnastics twice a week, the upcoming (already started) silly/social season and my birthday, blogging has definitely taken a backseat over the last month. I am so sorry about that guys. I am going to drop my commitment down from 2 posts a week to 1 and see if I can manage that for the rest of the year! It is school holidays at the moment so I don't have gymnastics for 3 weeks, so hopefully I can get some planning down and get back to it!! August was an exciting one, because I got to attend a very special event. 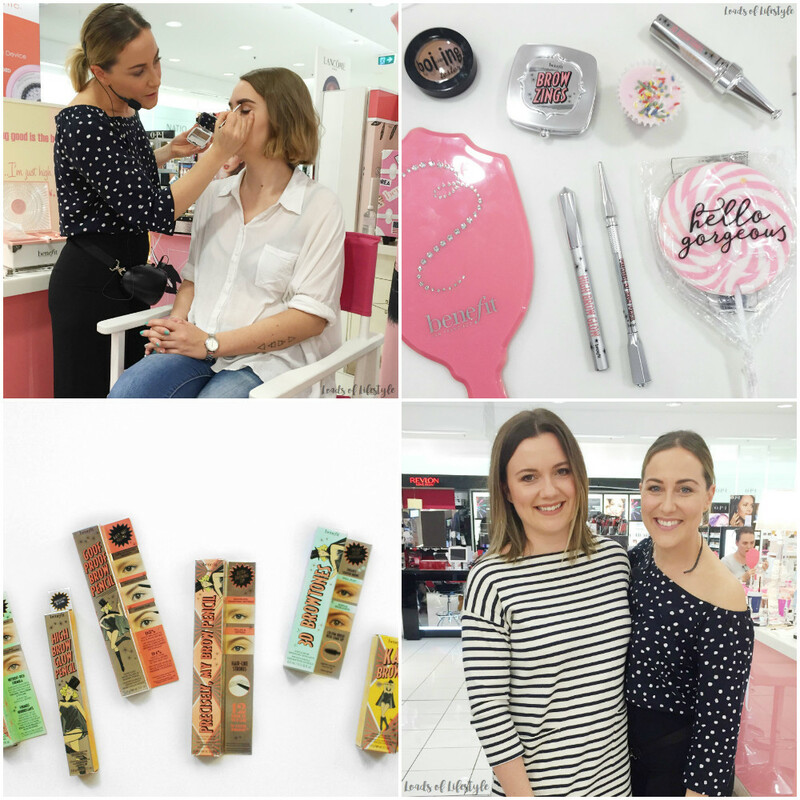 It was the Benefit Australia Brows On Tour event! It was held at the Benefit Counter at the Brisbane City Myer in Queen St Mall. We got to meet Benefit's National Brow Artist Hannah Terrett. She was absolutely lovely, and so knowledgeable, Hannah told us she has been working in the brow industry for over 15 years. She showed us how to create a beautiful fluffy brow (that is so on-trend right now - aka the Cara Delevingne brow) using all the new brow collection from Benefit - of course!!! We were kindly gifted a few products, plus I couldn't help picking a few extra too! I grabbed a new Rollerlash (my HG mascara), Watt's Up! highlighter and 3D Brow Tones. That same weekend, I also attended a Hen's Party for my friend Sally! We had a long lunch at Pony at Eagle Street Pier followed by a few drinks there too. We then headed "Johnny Ringo's" a country rock saloon, for a laugh and because they have a mechanical bull! A few drunken girls had a ride on the bull before we moved onto "Alfred & Constance" in Fortitude Valley. Then lastly we ended up at the "Sportsman Hotel" a bar in Spring Hill for a Drag Show! It was such a hoot and I would happily go to another. We danced up a storm inbetween shows and tasted the best espresso martini I've ever had!! The rest of the month was pretty quiet, thankfully! As the rest of the year is shaping up to be very very busy!! I also had the dreaded flu last month and had about a week off work! Plus another week to finally get over it! I kept it pretty minimal for most of the month make-up wise, but I did pull a red lip a few times..
Too Faced Melted Matte lipstick in Lady Balls - the best true red liquid lipstick I own. I still need to test it out a little more but definitely loving it, since one of my besties bought it back from the US for me!! Benefit - 3D Brow Tones in 02 Light - its like a highlighter, but for your brows! What more could you want? It gives your brows a more 3 dimensional look, creating highlights on the brow. If you have darker brows, it is suggested to get the light shade to create highlights and if you have lighter brows, it is suggested to get the darker shade to create lowlights. Benefit - Watts Up! - I have been lusting over this cream-to-powder highlighter every time I walked past a Benefit stand, and finally caved and bought it whilst at the Benefit event! Oh Em Geeeeee! Such an intense highlight. 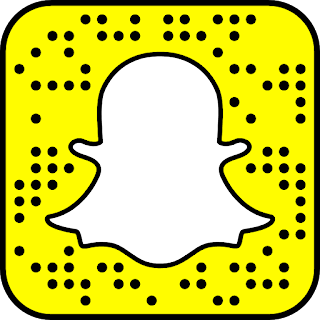 I have been using this non-stop. Cannot get enough!! Rhodia A5 Dot Grid Notebook - In August I got into Bullet Journalling with a few of my fave beauty babes! (I have since given up, but I am getting back into it for October!!) Bullet Journalling is a designed as a analogue system for the digital age. You can read all about the foundations of Bullet Journalling here. One of the beauty babes who (unlike me) has kept it up and now makes it a part of her everyday routine is Kate from The Minted Blog, she recently did a post about starting a Bullet Journal, you can read it here. Two of my favourite pens for Bullet Journalling are, the Fabre Castel Artist Pitt Pen in Fine and the Tombow Dual Brush Pens. The Artist Pitt Pen, is so fine and is great to use and it doesn't smudge (leftie here!) The Tombow Dual brush pens are absolutely beautiful and I just wish I had prettier hand writing to do them justice. They are beautiful for hand lettering and faux calligraphy. If you can't tell by the name of them, they have two ends. One is a beautiful sturdy but flexible brush tip and the other is a felt tip marker. 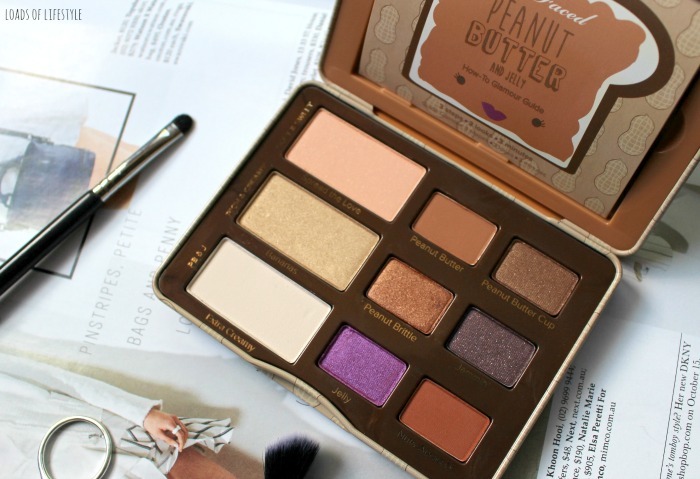 I need that Tartelette In Bloom Palette! I've been eyeing it for ages and now it's out of stock :'( That brow master class was so freaking good, I learnt so much! Oh Kate, you need it my friend! It is my most reached for palette now!! Even more than my Chocolate Bar one!! I'm still so devastated I couldn't come to the Benefit event :'( Also, I love your picks! 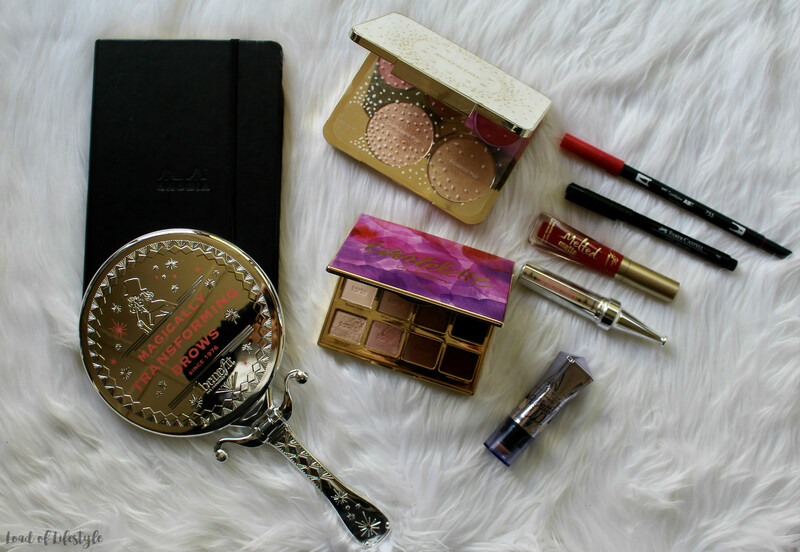 I have been loving the Becca and Tarte palettes recently too. Yes! We missed you there! It was such a fun event! I hope they do more soon! !